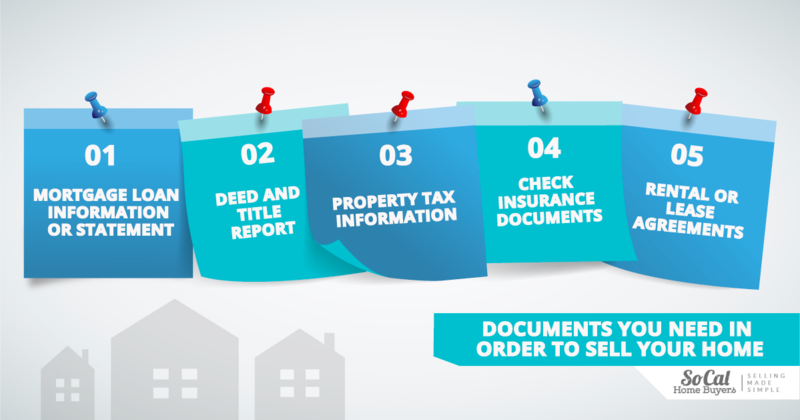 When you buy a home there are a lot of documents involved. These documents change hands and get filed away during the excitement of moving into a new place. For the most part, there is no need to ever consult these documents while you are living in the home. However, if you choose to sell, then these long lost documents suddenly become incredibly important. The frantic search through your home for property documents is not unique to a small handful of homebuyers. Most buyers don’t even remember most of the documents they were provided when they purchased the property. You could go years without even having to think about these documents, let alone look at them. If you are considering selling your home, you can save yourself a lot of frantic searching and stress in the eleventh hour by gathering your documents now. Having these documents on hand will make the selling process a lot smoother for everyone. 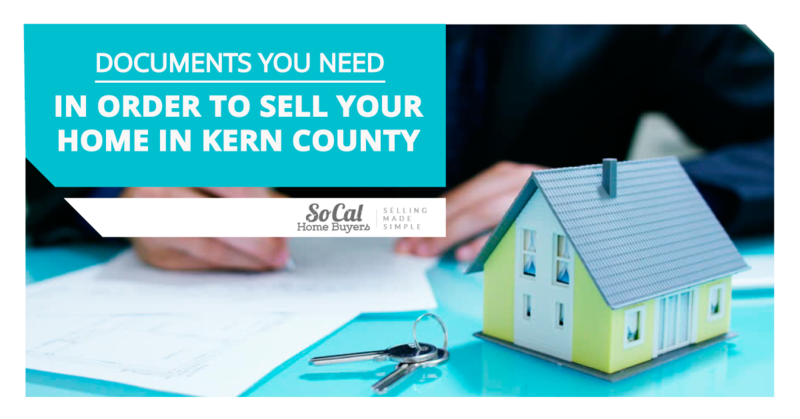 Here are the documents required to sell property in Kern County. If you have an existing mortgage on your home then you should have a clear picture of what is owed on the mortgage as well as what cancellation penalties (if any) will apply. This way you can set an expected price that allows you to payout the mortgage and move on without having to find additional funds to cover the shortfall. Most banks or lenders will send regular mortgage statements. If you have a recent statement and your original mortgage documents then you will have a clear picture of what your situation looks like. You can see how much you owe and what kind of penalties you may be subject to if you choose to break your mortgage. As the closing date approaches you may want to consider getting a mortgage payout statement from your lender. This statement will show the exact amount owed on the mortgage and the per diem interest charges so you can calculate exactly how much is required to pay out your mortgage. In most cases, banks will provide a mortgage payout statement for free simply by calling in and making the request. The deed and title report are two documents that essentially describe ownership of the home. The deed should have your name and any co-borrowers listed. The buyer will need to see this to ensure that the person selling the home actually has the legal right to do so. A title report will show liens on the home. Lenders that have used the property as security for loans like a mortgage will register the encumbrance on title to ensure that they are paid if the title is amended during a sale. In most cases people know what is registered on their title but sometimes there may be some surprises like old lines of credit. Taking care of any title issues early can save time and stress down the road. Buyers often want to know how much property tax they will be paying on a property before buying. If you are using a real estate agent to sell, then this information is often included as a section of your listing for people to easily see online or in real estate publications. Having up to date property tax information can also save you some money during the closing process. If you pay your property taxes annually in one lump sum then you are likely paid ahead of your sale date. Unless you feel like making a kind donation to the person buying your home – then you should be including prepaid property taxes as a part of your purchase agreement. Buyers will need to see proof that the taxes have been paid and then calculate their portion of the taxes as of possession date. Depending on where you live, the value of your home, and the date of sale – this could earn you back thousands of dollars. If you are thinking about selling then there is no better time to review your insurance documents. You may think it’s silly to spend so much time worrying about insurance on a home you don’t plan to live in, but the truth is that insurance may be more important now than ever. Sellers can run into a lot of trouble regarding insurance right up until possession is given to the buyer. First, verify that your insurance policy is valid and paid up to date. Then you will want to verify your coverage amounts and adjust if needed. There will be a lot of people potentially visiting your home during the sale process. A liability policy that protects you from damage or injuries sustained while on your property is highly advised. 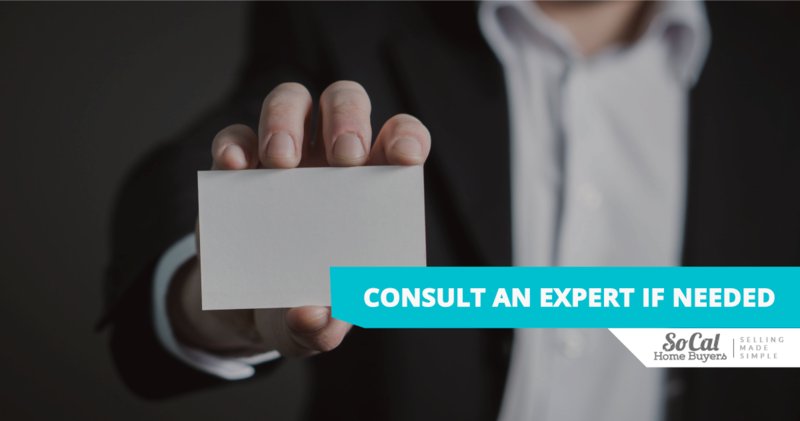 Your insurance agent will be able to give you an idea of what is recommended to fit your life and the risks you may encounter. Even after the sale has been agreed to, you must maintain insurance on your home until the closing day when the keys are handed over to the buyer. Any damage that occurs prior to the closing date will be your responsibility and you will need insurance to protect you from unexpected financial hardship. By law, buyers must honor lease agreements for people residing in the home. If they wish to live in the home or find new renters then they must follow the law to end the lease agreement and give renters ample opportunity to move. When you complete the sale of your home, at that time you will need to hand over any lease agreements that are in effect. Ideally these lease agreements will show all of the important details including rent amount, length of the lease, and special conditions. If you are renting your home and you may be thinking of selling in the future then you should be keeping detailed rental agreements for when that day finally arrives. If necessary, use lease agreement templates found online to help create agreements that cover all of your bases. Not only can these agreements protect you as a landlord but they can make the sale of the property a lot smoother. There are a number of other documents that may or may not relate to your specific property. The buyer could ask for some of these and it would be handy to have them available if requested. One of the most common documents that buyers will ask for is a property report. This shows the exact dimensions of the property as it relates to your neighbors. It is essential if there is ever a dispute regarding fences or other property questions. If your home is relatively new then the home builder may have provided a home warranty that can be transferred to new owners. There is usually a certificate that describes the warranty and the rules surrounding it which buyers will request if available. You should always have this in a safe place that’s easy to access anyway should you have a dispute with your home builder and require warranty support. Any additional documentation regarding appliances included in the sale, irrigation systems, or home maintenance like furnace inspections will also be greatly appreciated by buyers. While some of these extra documents may not be required by law – they can certainly go a long way in building good will with your buyer. It’s also a good habit to get into filing these documents away safely should you ever need to consult them for your own needs. In a lot of cases you will be working with an expert when selling your home. This could be a real estate agent, real estate investor, lawyer, or all of the above. Always be sure to consult them and use their experience when needed. If you are unsure of how to get copies of missing documents then these experienced professionals can help point you in the right direction. Southern California Homebuyers is a real estate investment company that purchases home for cash with quick closes. They have worked with a wide range of sellers who have required quick cash sales for a variety of reasons including financial difficulties, moving out of town, family illness, or simply wanting to get out from under a mortgage payment. Their advice and expertise is at your disposal should you choose to sell. No matter what, you are never alone. There are always people ready and willing to help you ensure the selling process goes as smoothly as possible.